As comfortable and welcoming as a soft nest. 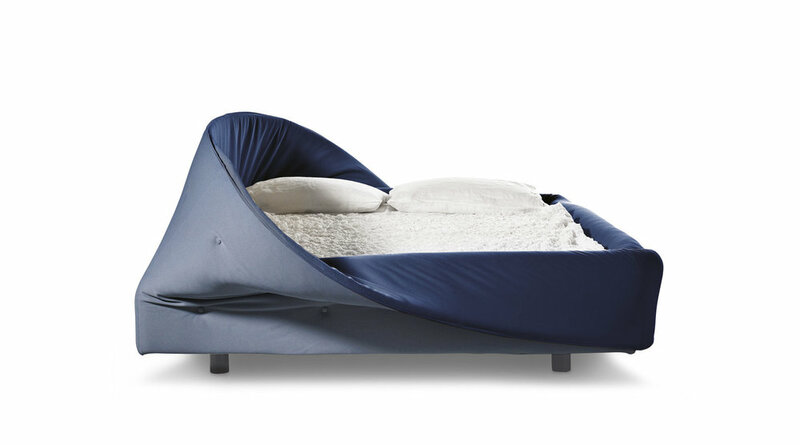 Sleeping in the Colletto Bed is like being nestled in a soft, vision and sound barrier. A ring of soft foam surrounding the mattress creates a relaxing atmosphere that allows you to escape your everyday routine. 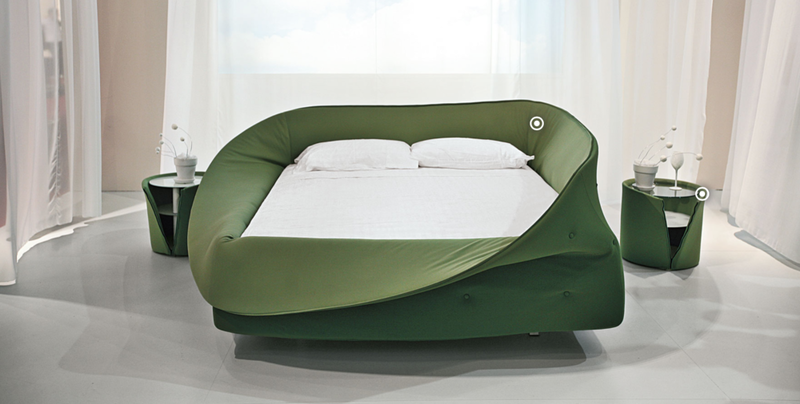 The ring is removable, attached to the bed frame by a simple Velcro system. The ‘neck’ of the bed can be rolled and unrolled like a turtleneck in three ways: open, semi-closed or completely closed, for a pure, intimate space.